Royal Enfield is coming up with two Classic-based scrambler motorcycles, the Trials 350 and Trials 500. Here’s everything you need to know about these upcoming bikes. Royal Enfield will launch the Trials on March 27. The Trials 350 and the Trials 500 will be based on RE’s Classic range. Both motorcycles will get dual-purpose tyres. We expect a premium of around Rs 10,000 over their respective Classic variants. Last year, Royal Enfield launched two all-new 650cc motorcycles, the Interceptor 650 and the Continental GT. And both of these quickly became popular amongst motorcycle enthusiasts. However, for this year, the Chennai-based bikemaker is not looking at all-new motorcycles, at least yet. It will instead give us two motorcycles based on their existing Classic range - the Trials 350 and the Trials 500. Inspired from the Trials motorcycle that the company used to sell during the 50’s, Royal Enfield will launch the modern avatars of these scramblers on March 27. But before we get our hands on the bikes for a full review, here’s what we know about the upcoming Royal Enfield scramblers. 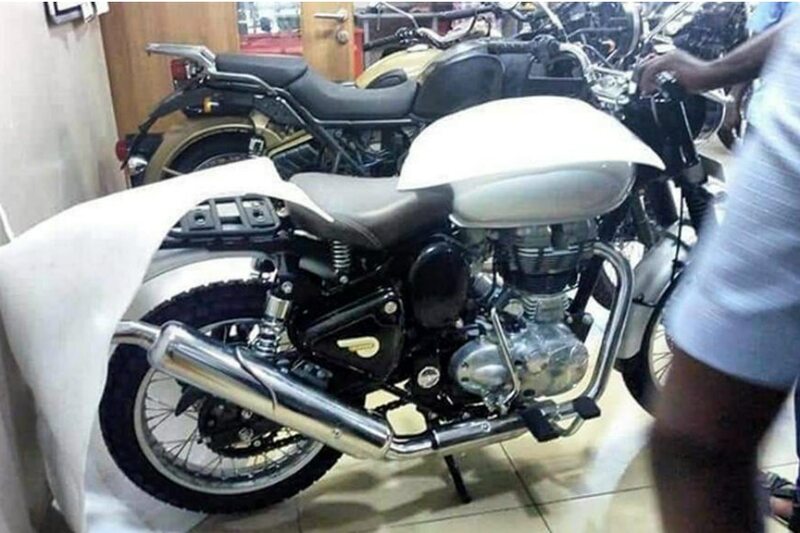 Royal Enfield’s Classic range works like a blank canvas when it comes to modification. So, presumably taking inspiration from customers customising their motorcycles, Royal Enfield thought of launching these two ‘factory customs’ of sorts. The bikemaker did make a few changes over the standard Classic models though. What we can determine from the teaser is that the Trials feature an upswept exhaust pipe and the fenders at both the ends are different from the standard Classic’s. Although the 19/18-inch wheel setup remains the same as the standard Classic models, RE has fitted the Trials with dual-purpose tyres. The upcoming scrambler will be offered in two variants: Trials 350 and Trials 500. Expect these to be powered by the same engines as their as the Classic range. While the 346cc, single-cylinder, air-cooled motor churns out 20PS of power and 28Nm of torque, the 499cc motor produces 27.6PS of power and 41.3Nm of torque. Both engines come paired to five-speed gearboxes. Royal Enfield played it smart with the teaser of the Trials. The 15-second clip didn’t shed light on most of the areas, but we did find out some interesting details about the upcoming Trials. For instance, it misses out on a pillion seat, and instead sports a luggage rack. The headlamp unit and the 3D “Royal Enfield” badge on the tank are the same as what we’ve seen on the Interceptor 650. We expect that both the Trials variants will command a premium of around Rs 10,000 over the models on which they are based, bringing the prices to around Rs 1.6 lakh and Rs 2.1 lakh (ex-showroom, Delhi) for the Trials 350 and 500 respectively. It is entirely possible that Royal Enfield might price these two bikes a bit more, considering that there aren’t any ‘scramblers’ available at that price point. Quite literally, the next motorcycle of this type needs a big jump up to the Ducati Scrambler 800. Our first ride review will be out soon after we ride these new baby scramblers on March 27.